UPDATE 13 July 2017: The highly-anticipated mini K-pop music festival slated to take place this weekend on 15 July 2017, has been postponed indefinitely until further notice. According to the organiser, the postponement is due to unforeseen circumstances related to "local government and police force". The new date will be announced latest by 28 July. 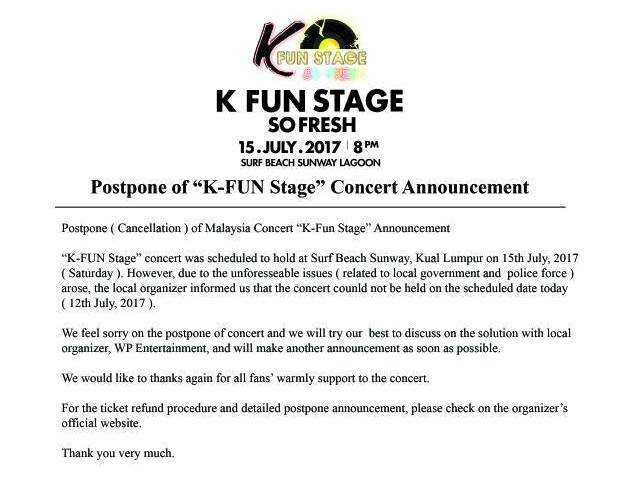 Those who wish to refund can log on to fb.com/kfunstage, for more information. 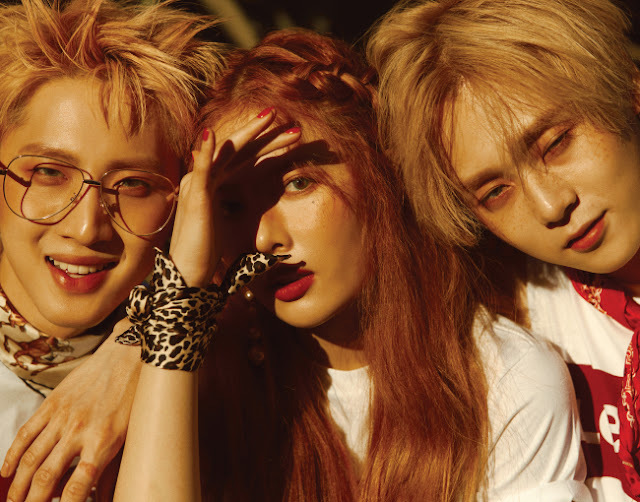 South Korean singer HyunA will be coming to Malaysia again, and this time, she is bringing along her newly formed dance-pop group Triple H which also consists of Pentagon members Hui and E'Dawn, for a mini K-pop music festival this coming July! Dubbed as K Fun Stage – So Fresh, this will mark Triple H’s first ever concert after they made their debut on 1 May 2017, releasing their first EP “199X” along with the single “365 Fresh” and its music video. The members of Triple H will also be joined by Korean-American rapper Jay Park, rising EDM star DJ Wegun and special guest, Vincent. 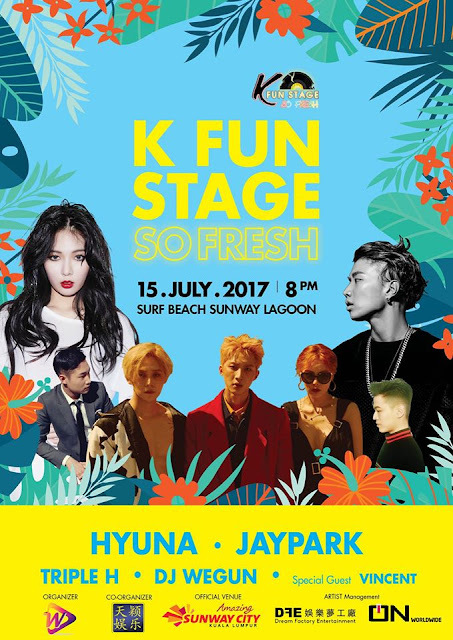 Organised by Dream Factory Entertainment, K Fun Stage will be held at Sunway Surf Beach, Sunway Lagoon on 15 July 2017, 7pm to 10pm. Tickets will be launched today 17 May, at 3pm via airasiaredtix.com, with prices starting from RM142 onwards.